Damiana has a long tradition in the Mexican and Central American cultures, but it’s been gaining more and more mainstream popularity. Although it’s perhaps best known for its anti-anxiety and aphrodisiac effects, this plant has plenty more to offer. The scientific name for damiana is turnera diffusa. It’s a deciduous shrub that grows to around 3 feet tall and 2 feet wide. Damiana is native to North and South America and is most prevalent in the central Americas, although it is found in some places in Africa as well. It needs well-drained soils and plenty of sun. It usually does best in dry environments and is able to grow in both rocky and sandy places. The plant blooms in the mid to late summer, and flowers are yellow in color. What Is Damiana Tea Good For? Because damiana has both calming and energizing properties, it is suitable as an all-around tonic. A cup in the morning, afternoon, and before bed may be ideal for those who want to get the most benefits. It’s best to start with just one cup, however, to see how your body responds. What Does Damiana Tea Taste Like? Damiana is a very aromatic herb, and that flowery taste is present in the tea as well. It’s often described as slightly bitter, and some people believe it has a smell and taste similar to that of cannabis. It’s common for damiana tea to be mixed with other herbs, and sometimes even sweeteners, to add variety to the flavor profile. Damiana tea is often pared with mullein or passion flower. Passion flower and mullein are both naturally sweet and help counteract the bitterness of damiana. Spicy or citrus pairings, such as cinnamon, ginger, or orange, may also work well. A bit of honey and milk mixed into the tea can also help mellow the taste. The full chemical make-up of damiana has yet to be discovered, but flavonoids, caffeine, arbutine, tannins, volatile oil, essential oils, phosphorus, and thymol have all been successfully identified. Anti-oxidant. Like most other herbs and plants, damiana has many different components, including tannins, that make it an all-around healthy drink. Aphrodisiac. While researchers are not exactly sure how damiana increases arousal, there is some evidence to suggest it may be due in part to the plant’s flavonoids present in the leaves. Diuretic. Damiana has a regulating effect on the urinary and digestive systems, helping the body process toxins and flush them out. Tonic. In the Mexican culture, damiana is believed to be a very important substance for achieving maximum health and is used to treat everything from painful menstruation to lack of appetite. 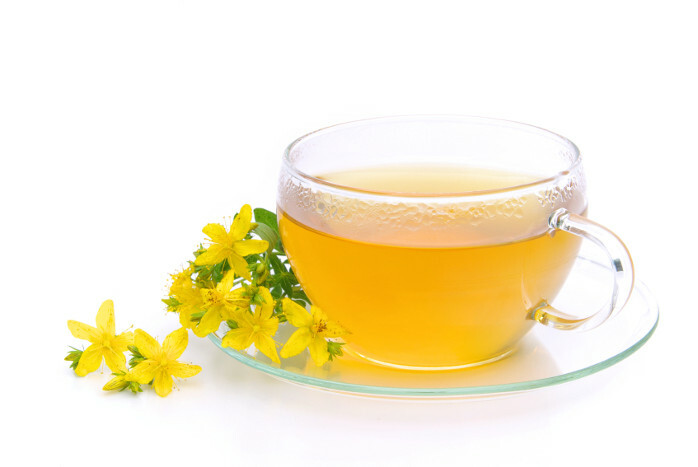 While damiana can be found in powdered form in most states, often in health food stores or herbal shops, the tea form is milder and may be more suitable for daily consumption. It’s the leaves of the damiana plant that are used for their medicinal properties. The presence of caffeine, flavonoids, and arbutine are thought to contribute to its aphrodisiac and stimulant effects. There is also some research that shows that damiana’s volatile oil — a fragrant substance that also includes tannins and resins — may interact with progesterone receptors in the female body and be helpful for women’s health issues. Are There Any Side Effects from Damiana Tea? The main side effect associated with damiana is decreased blood glucose levels, and the herb may also interact with some diabetes and blood sugar control medicines. This can be dangerous for those with hypoglycemia or diabetes. Those who have either of these conditions should talk with their doctors before using damiana in any form and should keep a close watch on blood sugar levels while taking damiana. The effect damiana has on blood sugar can also problems for those scheduled to undergo surgery. It is best to avoid taking damiana two weeks before any planned surgeries. While drinking damiana tea is not known to cause any complications for women who are pregnant, the scientific research is lacking in this area. The American Pregnancy Association advises that most commercially prepared herbal teas are fine for pregnant women in normal drinking amounts. There have been some documented issues with cyanide toxicity in those who were using damiana in very high dosages. Pregnant or lactating women should avoid loose teas and should always check with a doctor or midwife before trying any new herbal substance. 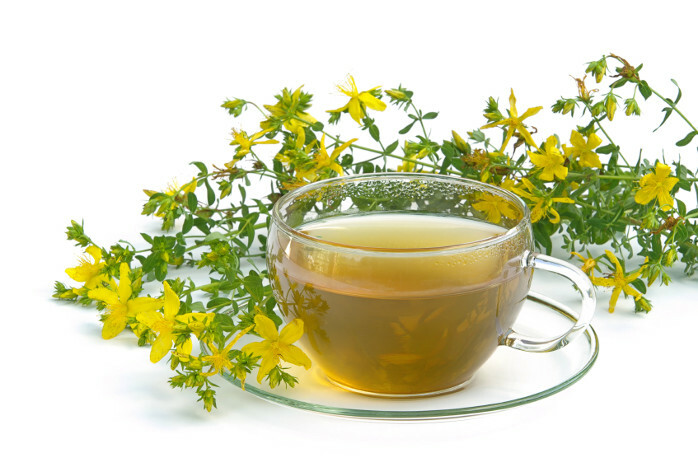 Damiana tea is generally regarded as safe for most people in normal drinking amounts. There is no known maximum dosage for the tea itself, but the usual dosage is approximately 2 grams of damiana leaf. The amount of damiana that should be ingested depends on the age, weight, physical condition, and overall health of the individual. When in doubt, it’s best to start at a lower dosage and work up from there to make sure there are no adverse effects or unexpected reactions. Making your own damiana tea is relatively easy, but it does take some time. One of the best methods is to prepare a tincture using damiana leaves and an alcohol as a base. Then a small amount of the tincture is added to boiling water, along with sweeteners. Drink once cooled. Another method involves steeping the dried leaves in boiling water for 15 minutes. Where to Buy Damiana Tea? Damiana tea is not particularly well known, and it may be difficult to find in commercially prepared tea bags. Those wishing to use damiana tea may need to look at specialty herb shops, check with a holistic practitioner, or make their own. Because damiana tea offers a variety of benefits, it can help those who are trying to curb anxiety symptoms and those who need an energy boost. Its gentle laxative effect may also be helpful for those who suffer from a sluggish digestive system and need a bit of help staying regular. Our favorite things about this tea is its long history in traditional medicine and the many benefits it can offer. The taste can take some getting used to, but it’s subtle enough that it blends well with other flavors. The main drawback is its limited availability, which means you may have to do some hunting around to find ready-to-use tea bags, and it may not be available at all in some states. Damiana was used in the Mayan culture as an aphrodisiac. The plant continues to be extremely important to the Mexican cultures and is banned from export.